MARLO and MABEL videos are available on YouTube : DynamicLegLocomotion Channel. Unfortunately, Rabbit was active before YouTube! However, many of the videos are on this web site and can be accessed from this page. Videos and Photos of MABEL, a bipedal robot with a compliant powertrain, which we constructed in collaboration with Jonathan Hurst of the Robotics Institute at Carnegie Mellon. MABEL is designed to run. It has springs for energy storage; they act somewhat like tendons in the human body. 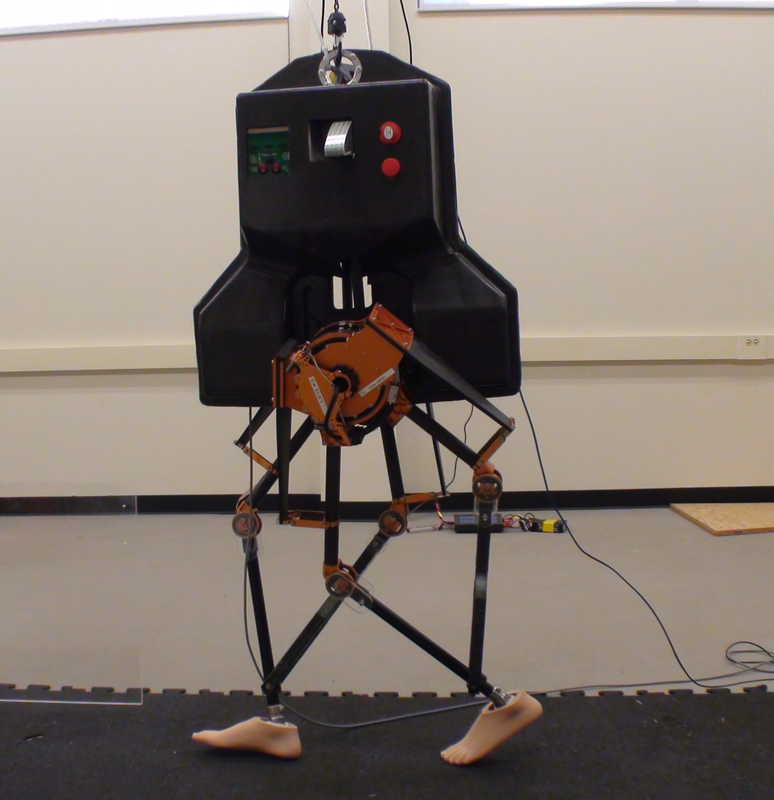 Videos and Photos of MABEL, a bipedal robot with a compliant powertrain, which we constructed in collaboration with Jonathan Hurst of the Robotics Institute at Carnegie Mellon. MABEL is designed to run. It has springs for energy storage; they act somewhat like tendons in the human body. 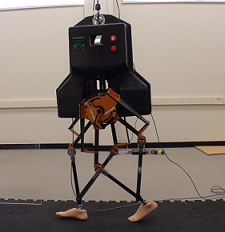 Videos of RABBIT, a bipedal robot on which we performed extensive analysis and experiments from 1999 through 2004. 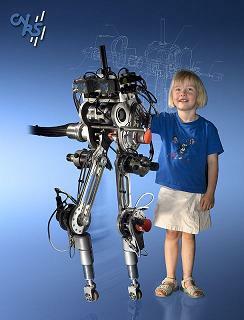 RABBIT is a rigid, five-link, four-actuator, planar bipedal robot based in Grenoble, France. It was conceived for the study of underactuation in walking. This robot inspired the PI and colleagues to develop a novel paradigm for control law design which breaks cleanly away from the flat-footed (fully-actuated) assumption of previous work, and yet combines analytical tractability with the ability to treat realistic models. 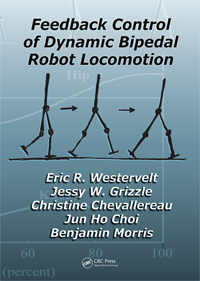 Book on Control of Bipeds: Feedback Control of Dynamic Bipedal Robot Locomotion , Taylor & Francis, CRC Press, June 2007, 503 pages. Treats advanced issues and covers all the basics too! Professionals and graduate students alike will find the book accessible and useful. 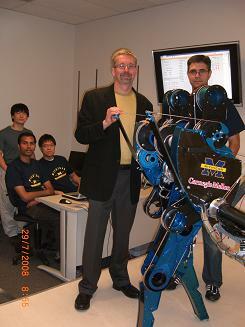 Publications and publicity on bipedal robots.